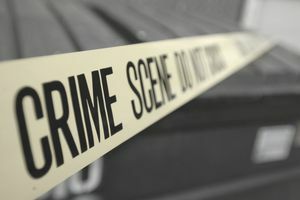 Many people immediately think of law enforcement officers and police detectives when they talk about careers in criminology and criminal justice. These are the most visible professions within criminal justice, but they're not the only ones. You don't have to be a police officer to work in criminology. A host of jobs are available to those whose interests go far beyond law enforcement, from working with evidence to working with crime victims. Civilians vs. Sworn Officers—What's the Difference? Sworn officers have the power to arrest individuals who are breaking or have broken the law. They're also authorized to carry weapons. They're literally "sworn" as the title suggests—they've taken an oath to uphold the law. This doesn't detract from the contributions of those who work in civilian capacities. Their goal is to assist in upholding the law as well. A crime analyst plays a vital role in assisting local, state, and federal law enforcement officers in the fight against crime. They gather intelligence and data, and they help officers in nearly every aspect of law enforcement, from planning patrols to identifying emerging trends and criminal activity. Crime analysts study police reports to help predict when, where, and what crimes will occur. They also provide crucial information in officer safety bulletins regarding dangerous people and trends, helping to make sure that more officers make it home safely at the end of their shifts. Forensic scientists work in a variety of conditions and numerous specializations. They might work in a crime lab or as part of a crime scene investigative unit. Forensics technicians collect, preserve, and analyze evidence, then they present their findings to investigators to help them solve crimes. Some forensic technicians specialize in bloodstain pattern analysis. They look at the spread and pattern of blood spatter at crime scenes to gather information about how a crime occurred, as well as insight into the type of person who might have committed it. Other technicians are experts in ballistics. They can obtain valuable information about the trajectories of projectiles, the caliber, and the type of bullets used in crimes. They can even help identify the type of gun used. Forensic anthropologists use their knowledge of human remains to develop information about the victims of crimes. They can help give investigators clues as to the types of injuries a victim sustained, the age of the victim, and even certain identifying characteristics such as height and weight—all based on little more than a few bones and skeletal remains. Forensic psychologists work in various components within the criminal justice system. Some work as jury consultants, helping attorneys analyze and select jurors for trials and prepare witnesses for the stand. Others work in the corrections industry, helping to rehabilitate convicted criminals or evaluate accused criminals to determine whether they're competent to stand trial. One very intriguing career in forensic psychology is that of the criminal profiler. These professionals work closely with investigators to provide information about the perpetrators of serious crimes, giving detectives leads based on personality type that can even help identify the age and race of a criminal when they have little else to go on. Criminology is the study of crime and its causes, costs, and consequences. The job of a criminologist is to do just that: study crime. Criminologists teach in universities, work for think tanks, and assist policymakers in creating public policy regarding crime and the appropriate response to crime. Computer investigators use their knowledge of technology and their computer skills to assist investigators in collecting electronic evidence and tracking cybercriminals. They can be called upon to dig deep into a hard drive to recover lost or erased data, or they might work for cybersecurity firms, helping to create and test measures that protect systems from hackers. Loss prevention specialists work for retail stores. Their primary function is to mitigate or eliminate the theft of merchandise by both customers and employees. People who work in loss prevention often hold degrees in criminology and criminal justice, and they use the job as a stepping stone toward careers in law enforcement or security. Many, however, go on to successful careers preventing theft for major corporations. These workers do their own type of investigation, often with the assistance of other authorities. It's their job to look into allegations of child neglect or abuse. These allegations can be received from a variety of sources: family members, neighbors, friends, or adults who have a duty to report their suspicions by law, such as teachers and medical personnel. There's even a place for criminology in major sports. The National Football League, Major League Baseball, and the NCAA all make use of security professionals to maintain the integrity of the sport. These professionals protect players from others and from themselves, and they look into allegations such as cheating, rules violations, and steroid use. Law enforcement officers need tons of support to perform their jobs well. Police dispatchers provide that support by taking calls for service, recording and providing case numbers, and sending units to incidents that require police intervention. Dispatchers are an indispensable component of any law enforcement agency, and this can be a wonderful career opportunity for those who want to work in law enforcement without having to serve as police officers. Victim advocates aid and assists the victims of crimes. They might arrange for medical services in the immediate aftermath of a crime, then later walk victims through the judicial process and help with any questions or needs the victim might face. Many advocates are employed by state courts or state services, but others work for police departments. OK, maybe you do want to carry a gun. Private investigators must typically be licensed by the state in which they operate, and they must have permits to carry firearms if they're going to do so. The primary job of this type of career is to collect evidence, both physical evidence and through witness testimony, that can then be turned over to the authorities. But private investigators aren't limited to issues of crimes. They might investigate domestic situations, potential employees, or missing persons. They can work independently, through an agency, or even for private corporations or law firms. These are just a few of the many careers available to those who are interested in civilian employment in criminology and criminal justice. The options are nearly limitless, and you're sure to find a job that will meet all your needs with the right preparation and education.